If you are visiting the UK this December you can’t fail to get into the Christmas spirit. December is a wonderful time as there are lights and festivities everywhere. 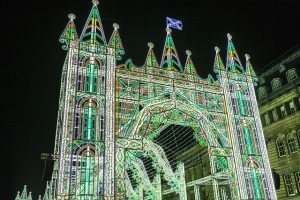 If you want to do your Christmas shopping in style then London, Manchester and Edinburgh are all full of lights, markets, and even ice rinks. If you want to mix a bit of culture with your Christmas pudding then check out the Hampton Court Palace Festive Fayre or try a Tudor mince pie in Shakespeare’s hometown. 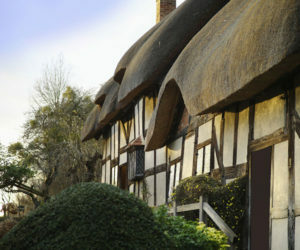 Take a trip to Stratford-upon-Avon where there are events taking place across the houses of Shakespeare. Join festive talks, performances and workshops, learn about Christmas in Tudor times when Shakespeare was a boy, sample a Tudor mince pie and hear all about the Tudor celebrations for Twelfth Night. You can take a walking tour of Shakespear’s Stratford with one of our expert local guides. Watch this video to see what it might include or read our houses of Shakespeare blog. Manchester is a wonderful city to visit at any time of year but this month, it is particularly special. The Manchester Christmas Market is one of the biggest in Europe and takes over the centre of the city. 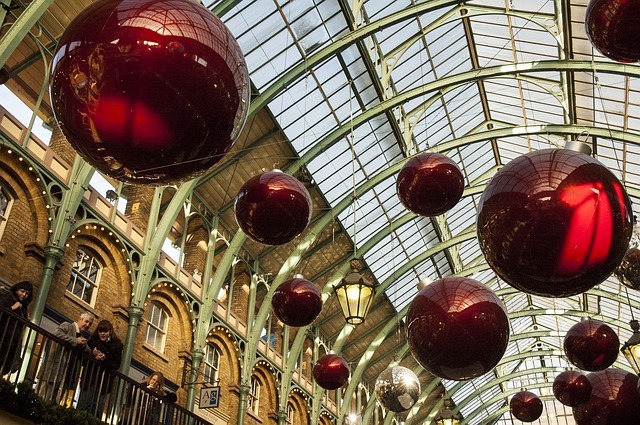 With the smells of warm food and mulled wine, you can’t help but get into the Christmas spirit. Across the city, there are also festive shows and performances, ice rinks, Santa’s grotto and carol services. 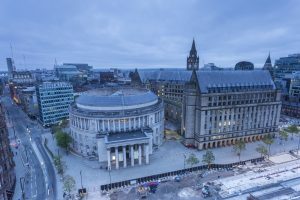 Our local guides have put together a guide to Manchester to make sure you don’t miss out on anything when you visit. 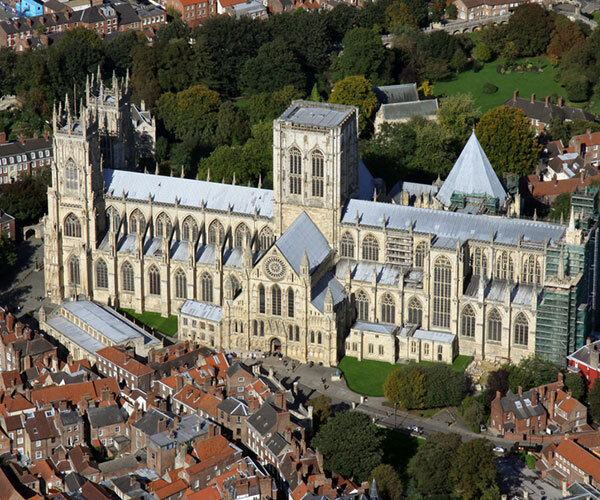 They can take you a tour of this fascinating city and show you around the theatre, town hall, museums, art gallery and even include a trip to the football grounds. See our Guides Guide to Manchester. 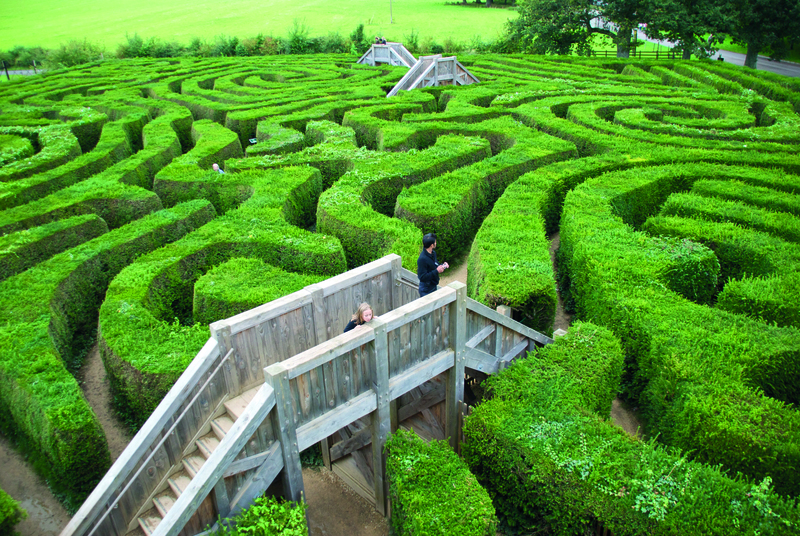 Participate in the 24 Days of Advent on a visit to Edinburgh and visit some lesser-known places in Edinburgh. Each day for the 24 days of advent a different building in Edinburgh will be opening its doors to visitors. You can see Lauriston Castle, The Royal Society of Edinburgh, National Records of Scotland, Anatomical Museum and St John’s Church. If you’re still in Edinburgh for New Year then, of course, you must celebrate Hogmanay. Join the crowds at the Edinburgh Hogmanay street party and dance the night away at the Ceilidh under the Castle. When you’re ready to clear your head after the festive celebrations take our guided tour of Edinburgh or join one of our guides for a day trip out of the city. Hampton Court Palace gets festive this December when the palace courtyards are transformed into a Festive Fayre. Get into the Christmas spirit as you browse the stalls displaying delicious seasonal food and drink. 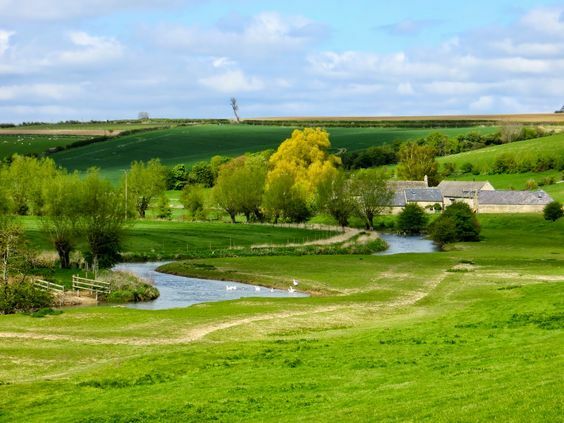 There’ll be carols and festive music and cookery demonstrations. 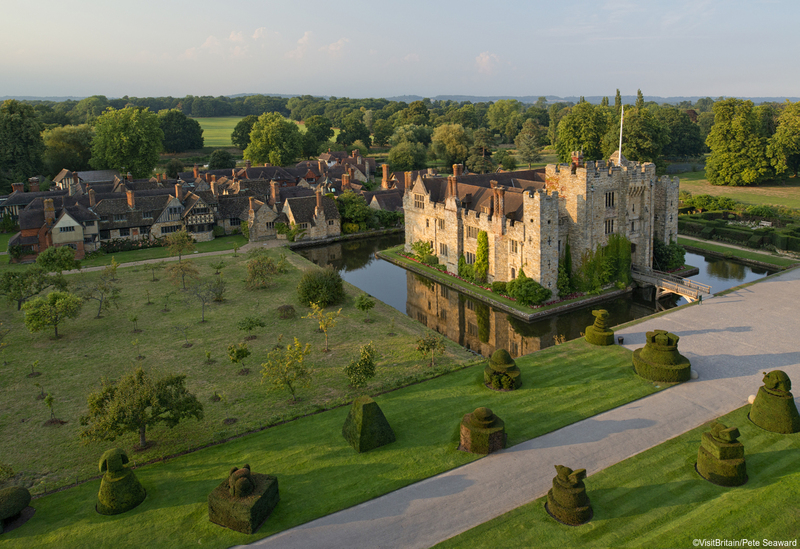 When you visit, take one of our Blue Badge guides to really appreciate this historical and fascinating palace. The beautiful blend of Tudor and Baroque architecture features three courtyards – Base Court, Clock Court and Fountain Court. Base Court was built by Cardinal Thomas Wolsey in the early 16th century, but when his master the King started to covet the great palace, the Cardinal quickly gifted it to the irascible monarch. 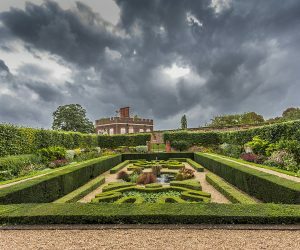 Take our guided tour of Hampton Court. 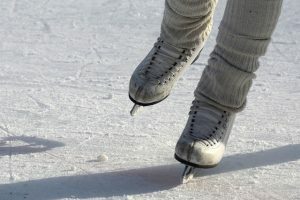 Across the country, ice skating rinks are set up in beautiful locations. It really is a lovely thing to do in an evening – skate and enjoy the atmosphere and warm yourself up with a glass of mulled wine afterwards. Our favourite rinks in London have to be Somerset House and the Natural History Museum. If you don’t fancy falling over on the ice then warm up by going inside the Natural History Museum. There is so much to see and some wonderful exhibitions. A Blue Badge Guide can take you on a tour of the museum to make sure you get to see the bits that interest you. 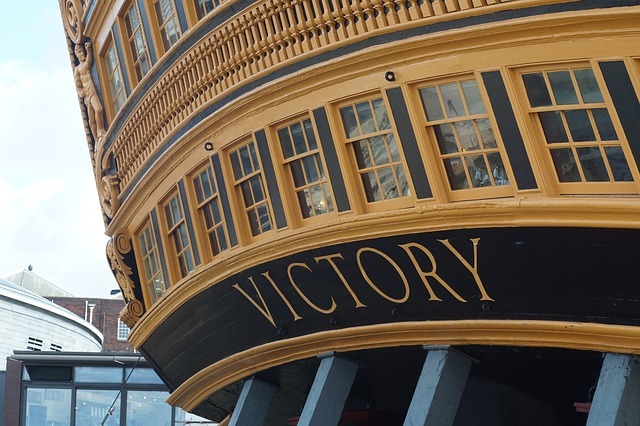 We offer tours of all the major museums and galleries in London so tell us what you are interested in and we can plan a tour of you. Find a tour.